Our Single Ingredient Canadian Baked Treats are handmade in a small bakery, all of the ingredients meet human grade standards! 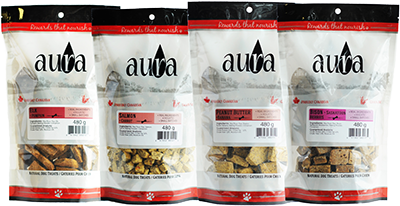 Our Exotic and Novel protein Canadian Baked Dog Biscuits are handmade in a small bakery, all of the ingredients meet human grade standards! 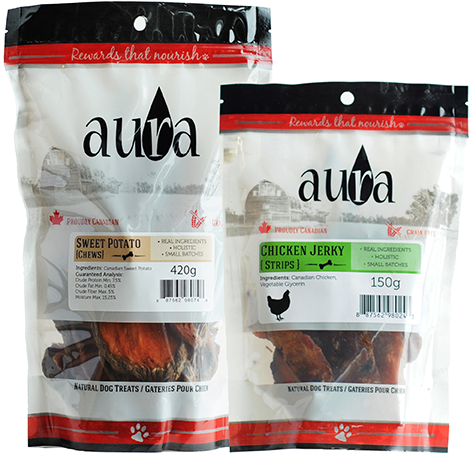 All ingredients are sourced in Canada. 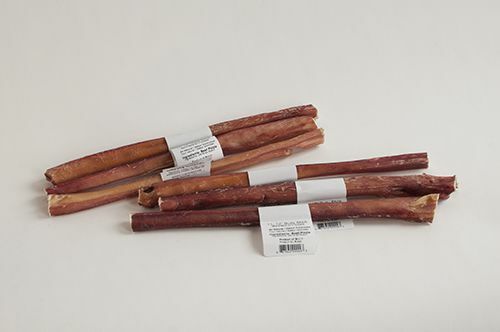 Clean your dog’s teeth with our Free Range natural dog chews from South American beef! 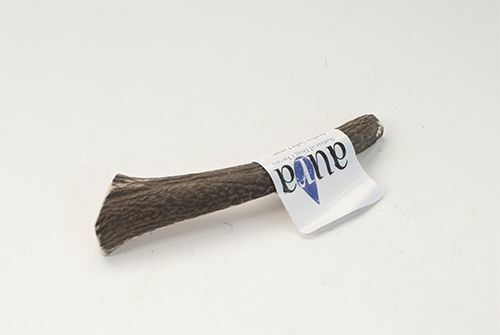 Long lasting natural antler dog chews, available in solid or split varieties.  Sourced right here in Canada. 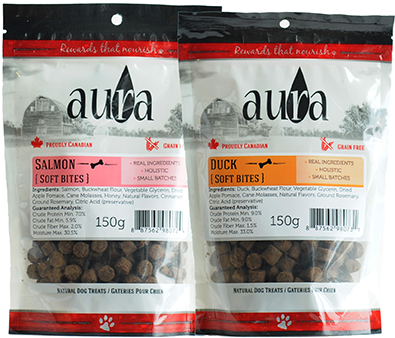 Aura Soft Bites are perfect training size rewards that your pet will love available in Duck or Salmon.